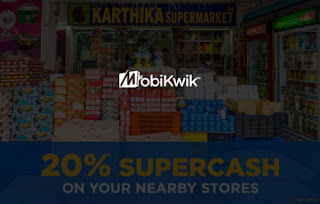 Mobikwik – Redeem 20% SuperCash Balance at Local Stores near you. MobiKwik is the best app for mobile payments, shopping and recharge. Pay for your online recharge, DTH recharge, Bus Tickets, IRCTC trains, Prepaid, Postpaid, Electricity, Gas Bill, Insurance, Broadband, Landline, Datacard Bills easily. Now Mobikwik has come back with an amazing offer where users can redeem 20% of their SuperCash balance while paying at local stores. Hurry up and Redeem you SuperCash Balance Now! 2) Open the App and Signup or Login with your valid details. 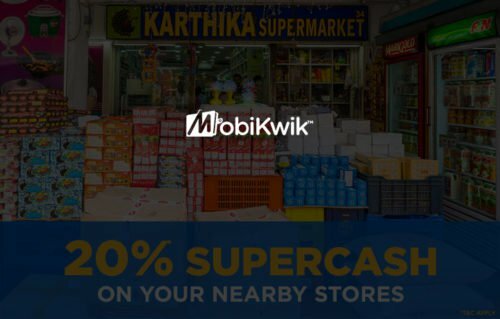 4) Shop and Scan Mobikwik QR Code via Mobikwik App and you will be able to redeem 20% SuperCash Balance too. Enjoy! Use 20% of your SuperCash balance at local stores near you. MobiKwik reserves the right to change/modify/revoke or stop the Campaign without giving any prior notice.